The new year is upon us and many are making their resolutions. 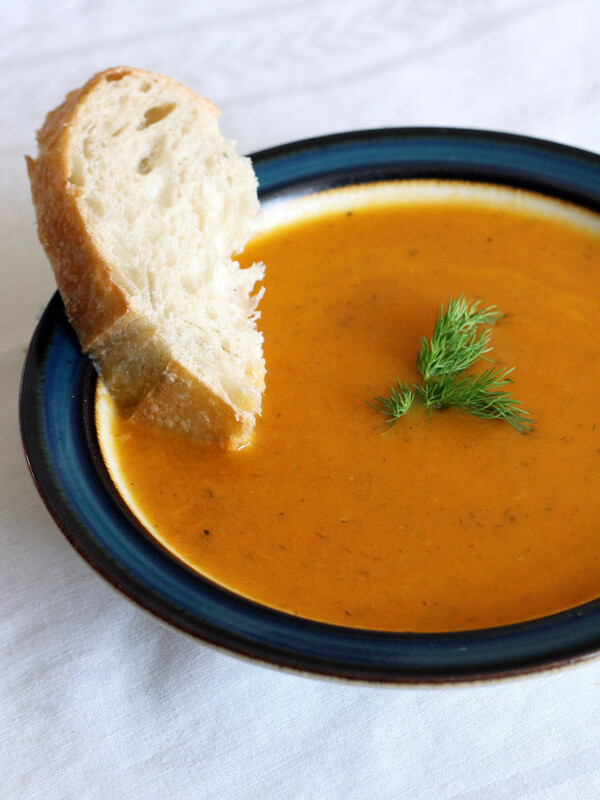 For those of you watching your waistline, I suggest making Carrot Dill Soup. Not only is it low-calorie and vegetarian, but it is also packed with flavor. My dad has been making this Carrot Dill Soup for as long as I can remember. In fact, he is somewhat known for it among our friends and family, specifically my cousin Suzanne. 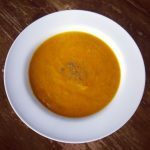 I have made Carrot Dill Soup a few times myself and found that the preparation is where I spend most of my time. The recipe calls for two and a half pounds of carrots peeled and chopped. Once those steps are completed, the rest is simple, just some simmering, blending, and tasting left to do! For this recipe, I suggest investing in an immersion blender . You can purée the soup right in the pot! No need for transferring food to a blender or food processor. It really does make the job easier and is a great tool for sauces, veggie dips, smoothies, baby food, etc. But back to this soup. Between the carrots and dill, the soup is so full of flavor while the butter and sautéed onions add some depth. 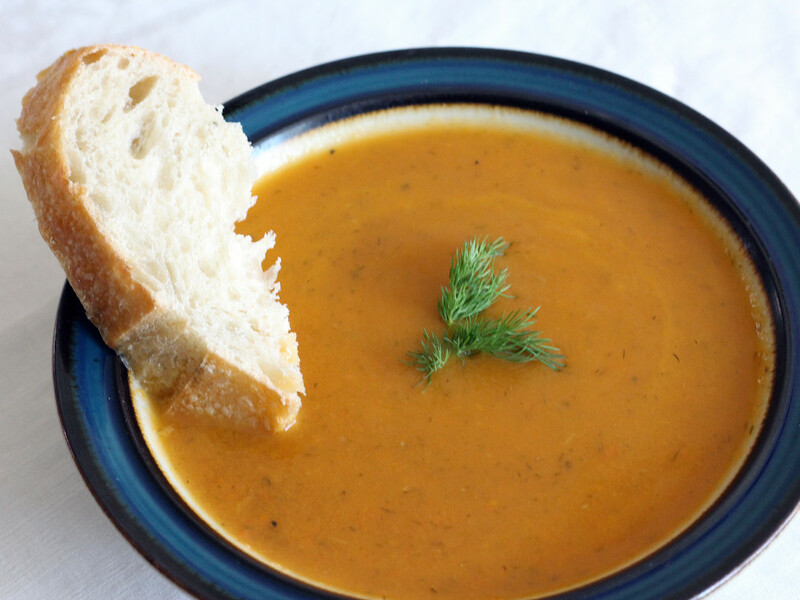 If you are looking for a diet friendly recipe or just a flavorful soup for lunch, this carrot dill soup will easily do the trick. Pinch of cayenne pepper add more if you like more of a bite in your soup! Melt the butter at the bottom of a large saucepan. Add the onion and cook over low heat until wilted, 10 minutes. Add the carrot, celery, stock, 1/4 cup dill, and spices. Bring to a boil, reduce the heat, and cover. Simmer until the carrots are tender, 40 minutes. Once tender, allow to cool slightly. In batches, purée the soup in the pot using an immersion blender. * Return the puree to the pot, stir in the remaining 2 tablespoons of dill, and adjust the seasonings to taste. Heat through. Serve each bowl garnished with a sprig of dill and enjoy! * If you do not have an immersion blender, you can transfer the soup to a blender or food processor and puree in batches. 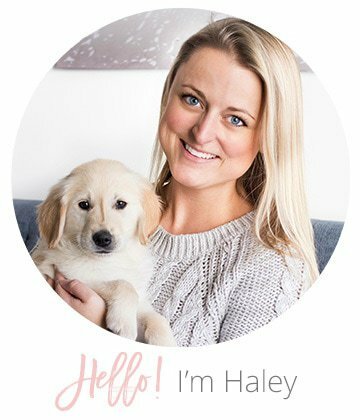 thanks for sharing the recipe, Haley- I’ll make sure Suzanne sees this! Thank you, Megan. Please let me know if you do! sounds very healthy and nice!